It can be easy to get stuck in an apartment rut while waiting to buy your own place. Renovation restrictions, limited space, and financial strain can easily diminish a renter’s design flair and leave you feeling a little less than at home in your own abode. So, we spoke with Melbourne-based studio, Dominique Gauci Design, to bring you their tips on how to decorate a rental apartment using only one thing — artwork. Just because your space is temporary doesn’t mean it’s not yours. 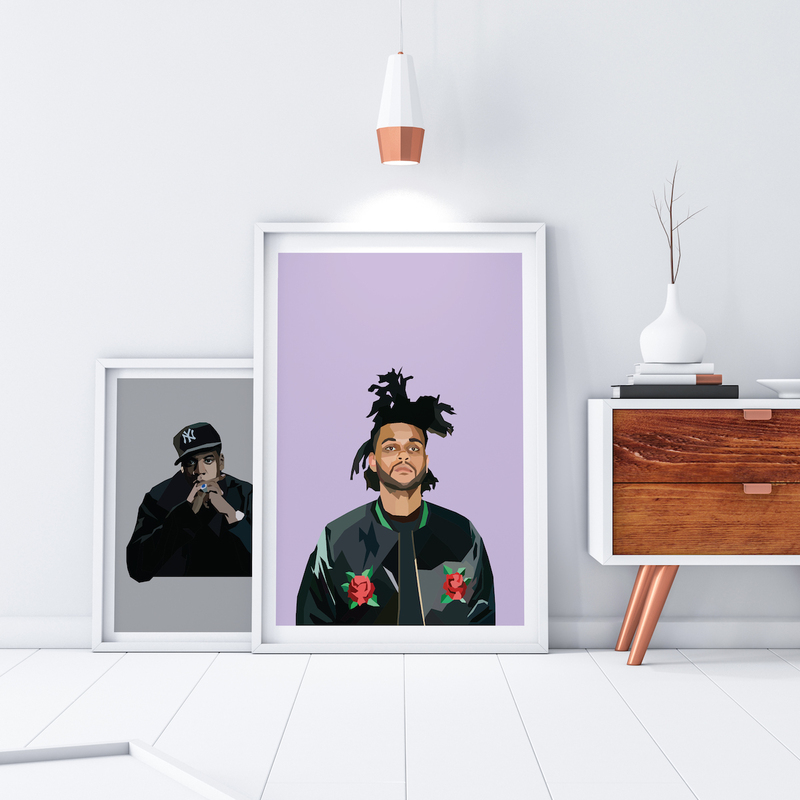 Create your own legendary style with artworks that reflect your personality. The online art world is teeming with dynamic and interesting pieces. Choose a favourite design icon, a personal quote, or have something custom made — a portrait of your pet is sure to inject personality in your space that is uniquely yours. Once you’ve chosen an artwork, you’ll need to work out where to put it. A common concern for renters is how to style their space without damaging walls. Well, luckily for you, the most stylish way to display your artwork comes without any permanent damage. The wall lean is the ultimate designer’s tip for showcasing art with casual confidence. Pick a space with a surface to elevate the piece — a mid-sized table, dresser or even a piano can make for the perfect booster to lean your pieces. Plus, you can combine differently sized artworks in a cluster to make sure your leaning art looks intentional. 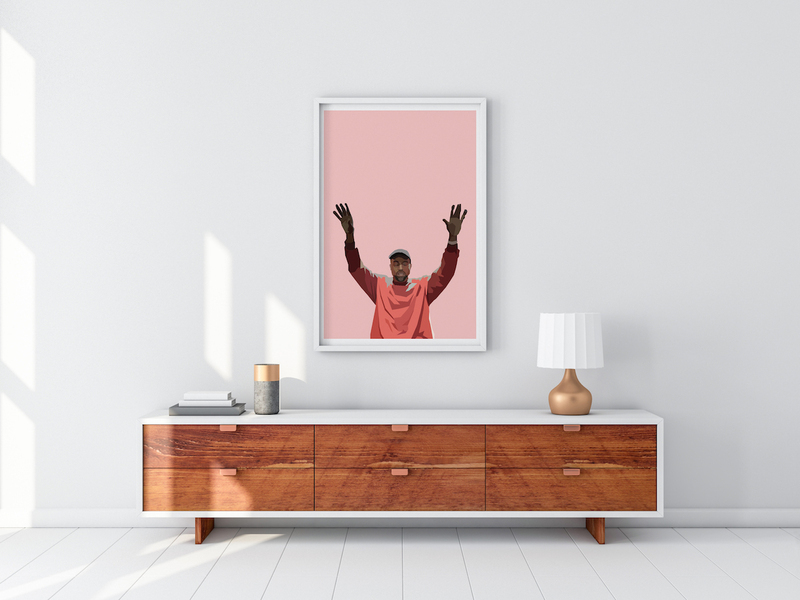 If you’re a renter who isn’t in the position to afford large pieces of artwork, don’t be scared to get creative with what you do have. Take stock of your smaller pieces by hanging them side-by-side in open spaces. 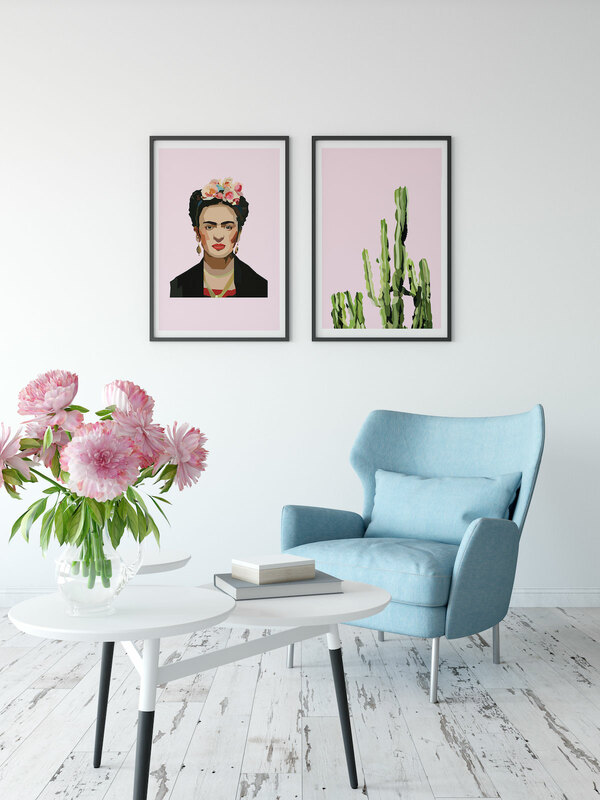 Whether above your bed, in the hallway or using the aforementioned wall lean, using two pieces of artwork as one statement piece is a dynamic way to keep your space contemporary. Opt for the same or similar design style for each piece so that even if they’re not completely in sync, the colour and style match up. Don’t be afraid to use different sized pieces as pairs — asymmetrical pairing can work wonders if done correctly. When it comes to older architectural design, many of the rented houses have higher ceilings for temperature control. And, while this may keep your home cooler, it can look awkward when paired with smaller rooms. To offset the tall ceilings, choose vertical pieces which are longer. This will deter attention from the narrowness of a room and draw the eye towards the high ceilings, ensuring the room feels more spacious. And the opposite is true for homes with shorter ceilings — use squared artwork to create the illusion of height. Read more about interior design rules that were made to be broken here.